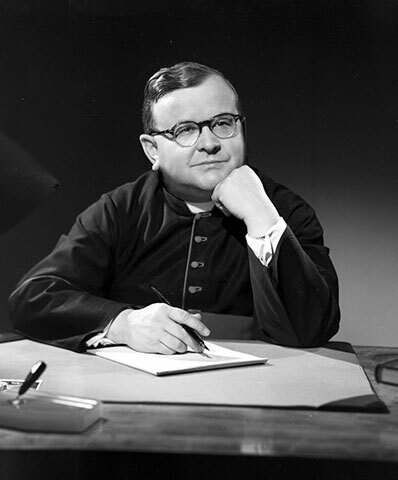 In 1961 when Paul Gérin-Lajoie met with Gérard Filion, editor of the Devoir, to invite him to become a member of the Royal Commission of Inquiry on Teaching, Fillion expressed the wish to become its president. Gérin-Lajoie could not acquiesce to his request. To avoid exposing himself to criticism on an issue as delicate as education, the Minister of Youth sought a cleric to preside over the Commission. He found his man in the person of Alphonse-Marie Parent, a monsignor with myriad university and ecclesiastical titles. Holding Ph.D.s in theology and in philosophy, Parent was first a professor, then Vice-rector and finally Rector of Université Laval. At the time of his nomination to the head of the Commission, he was the university's Vice-rector. Parent enjoyed a fine reputation in Rome, receiving the titles of camerrarius a secretis from Pope Pius XII in 1946, domestic prelate in 1949 and protonotary in 1954. In addition to Gérard Filion, other members of the Commission on education included Jeanne Lapointe, professor at Université Laval's Faculty of Arts, Sister Marie-Laurent de Rome of Collège Basile-Moreau, Guy Rocher, sociology professor at the Université de Montréal, David Munroe, Director of the Executive Institute of McGill University, John McIlhone, Deputy Director of the Catholic Schools Commission of Montréal, and Paul Larocque of the Alcan company. © Musée québécois de culture populaire 2012. All right reserved.